Too often, expert witnesses are unfairly disparaged as “hired guns” or (in the words of Missouri’s Gov. Eric Greitens) “shady witnesses that act as experts while peddling junk science” — particularly when they testify on behalf of victims of corporate wrongdoing. But most experts are good people who do their best to help the legal system by offering their knowledge for the benefit of jurors who are searching for the truth. Dr. Mark Solomon demonstrated that he is more than a hired gun by coming to the aid of a stricken jury during a Risperdal trial in Philadelphia. The trial will need to begin again with a new jury, but Dr. Solomon did the right thing by putting the juror’s health ahead of his role as an expert witness. Risperdal is an antipsychotic medication that is sometimes prescribed to treat schizophrenia and bipolar disorder. Some doctors also administer Risperdal to autistic children to combat symptoms of irritability. Some experts, including Dr. Solomon, have linked Risperdal to breast growth in males who take the drug. Thousands of lawsuits are pending across the country which allege that the manufacturer of Risperdal failed to warn consumers about the risk of breast growth. When thousands of men who take the same drug suddenly grow breasts, the link between the drug and the medical condition (gynecomastia) might seem obvious, but causation in pharmaceutical liability cases is notoriously difficult to prove. Experts like Dr. Solomon, a plastic surgeon, try to help jurors understand why the obvious cause is the actual cause, while experts for the pharmaceutical company explain to jurors why there might be alternative explanations for the propensity of males to grow breasts after taking Risperdal. 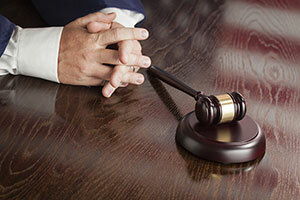 Five trials have proceeded to verdict (all in favor of the plaintiff) in Philadelphia, where a mass tort program was developed to deal with Risperdal cases. A judge unexpectedly dismissed the sixth trial, however, after finding that Dr. Solomon’s testimony was insufficient to prove causation. The plaintiff was a boy from Texas and the judge applied Texas law in reaching that decision. The dismissal has been appealed. Dr. Solomon left the witness stand and walked to the jury box, where he examined the woman while court personnel called for emergency assistance. Dr. Solomon attended to the woman until paramedics arrived to transport her to a hospital. Dr. Solomon did what any good physician would have done. Unfortunately, the circumstances forced the judge to grant a mistrial. The judge was concerned that the jury would consider Dr. Solomon’s actions when weighing his credibility as a witness. “Dr. Solomon is now a hero to this jury,” the judge said. A lawyer representing the plaintiff said, “Dr. Solomon did a great thing by helping to rescue the ailing juror.” He described the mistrial as a “hiccup” in light of the 13,000 plaintiffs his firm represents in Risperdal cases. The trial began again the following week. A new jury was selected that presumably will not be tainted by perceptions of Dr. Solomon’s heroism.